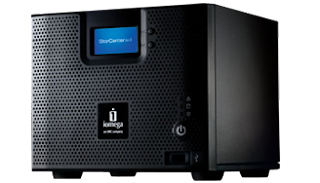 This tutorial uses an unsupported feature of the IOMEGA Storcenter ix4-200d. It worked for me but use it at your own risk! I undertand it works (but still isn't unsupported by IOMEGA) on the ix2 Storcenter as well. Works on ix2-dl as well. Yep - works for me also on Iomega StorCenter ix12, thanks! At diagnostics page i can not enable SSH. it said that port 22 is already in use. any idea? Over in the FTP setup, you have the checkbox set for SFTP. version 3.3.2.29829 (or something like that) - this no longer works. With "Security" turned on, nothing works. With "Security" turned off (and turning it off deletes all users and groups), root/soho works. But once you turn security back on again, it stops working! The SSH setting was moved to the manage page of your NAS.